STG works broadly in the field of renewable energy, however in this space we have tackled research and development in a number of different areas in addition to our training and implementation efforts. Here we tell you a little more about a few of our biggest projects – but if you are a technology geek excited to hear more about our custom solar sensors, optimized expander design, or dynamic system modeling, or if you are a business visionary interested in why we think that energy in developing countries is a promising investment opportunity, please get in touch! Have you ever thought about how quickly energy is being consumed in your house? How much more you need when you turn on the electric tea kettle or the washing machine? How the power plant operators know to turn on or off more generators to meet the needs of their customers in real time? Or are you simply thankful that these complications of the system are invisible to you as an end user and that the lights generally turn on when you flip the switch? STG’s engineers have all of these questions in mind because in fact, it is even more important to consider these issues (demand level, demand timing, load matching) when operating small power stations than it is for big ones. STG’s vision for our small power stations is that they are, essentially, invisible to our end-users the way that the grid is typically invisible to urban dwellers – when they need power, it should be there, whether or not they are turning on one light, a refrigerator, or an industrial-sized grain grinder to process this week’s harvest. 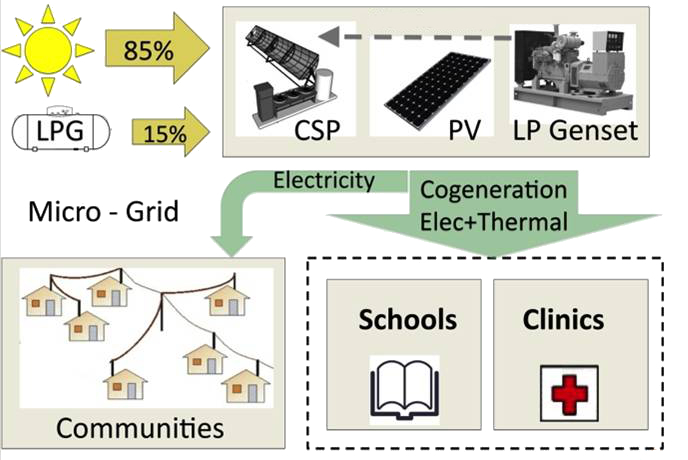 Further, we believe that the highest impact of electrification is actually achieved through servicing shared institutions (like schools, clinics, and community centers) – so we also need to provide energy to these users on-demand, when they need it, to support their missions (education, health, public safety). In addition to taking our electricity supplies for granted, most of us also forget to appreciate the wide variety of good educational options around us – not just the kindergarten teachers who teach us to read or the university professors who teach us calculus, but also the experts who train the next generation of specialists in business, in engineering, in welding and piping, in construction, in finance, in design and management of huge projects, in installation and maintenance of infrastructure, and in managing and serving large customer bases. Every sector of the global economy depends on this entire chain of people, to envision the need for projects, find the investors who can make them a reality, design them, build them, and keep them running. Even though we at STG are focused on energy systems that are much smaller than typical grid-tied power plants, all of these components are still incredibly important in making our projects successful. Thus, in addition to our work on technology R&D and implementation, we are also committed to a strong program in technology, engineering, and business training. Our programs target practitioners (solar technologies, manufacturing, business development), teachers (solar and energy system theory, renewable energy curriculum), and students (e.g., through hands-on internship programs) to both foster immediate growth and build a pipeline for future energy practitioners. 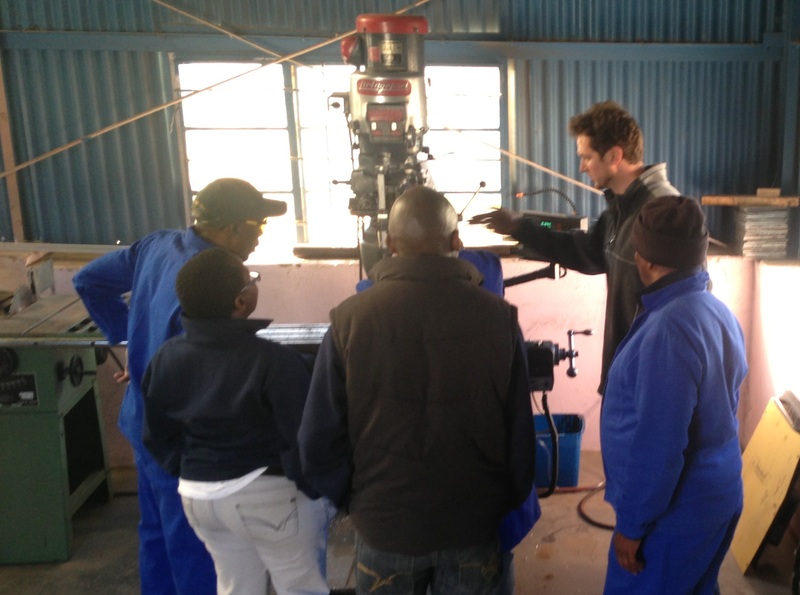 Dig deeper here: TECHNOLOGY TRANSFER AND TRAINING. Concentrating Solar Power (CSP) technology is not new – in fact it is used in several utility-scale power plants in California, Nevada, Spain, and elsewhere around the world. So why do we work on this at STG? First – CSP technologies are special in relation to other solar technologies (like photovoltaic panels) because the mechanical systems are amenable to manufacture nearly anywhere. (Typically the solar components are actually manufactured on site for the big power plants!) Second – while big utility scale plants exist using this technology, no small-scale options are on the market. (Note that since we started our work in 2006, there has been a movement to look at smaller CSP systems, most notably by Sopogy, Rackam, and others – but there is still no commercially available power block – our “ORC” – on the market.) 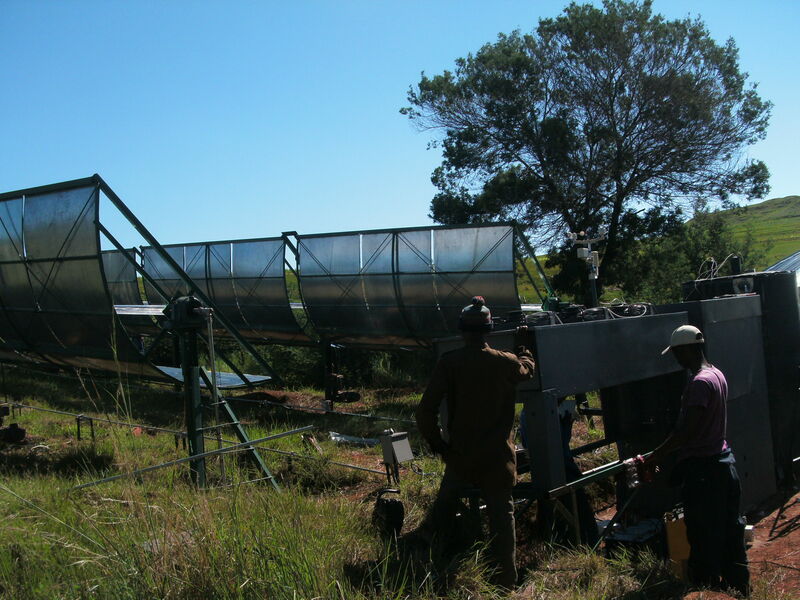 So STG saw an opportunity here: CSP has the potential to be a technology that can be built in Africa for use in Africa (or in South America for use in South America, or in Asia for use in Asia…). Economic growth, job creation, and energy tied together! So, how does it work? To read more: RENEWABLE ENERGY TECHNOLOGY.